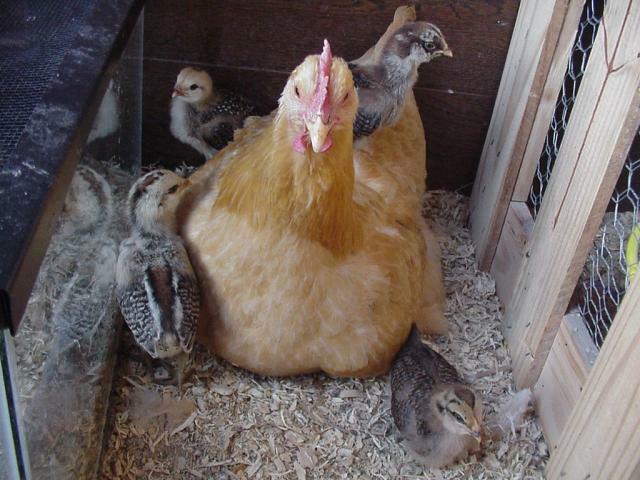 I am new to raising chickens, here is my coup. The Coup design is similar to one I saw on the Medium sized coup pages. I'm using materials that I had left over from my garage. Therefore the cost is kept at a minimum using a lot of materials I had on hand. 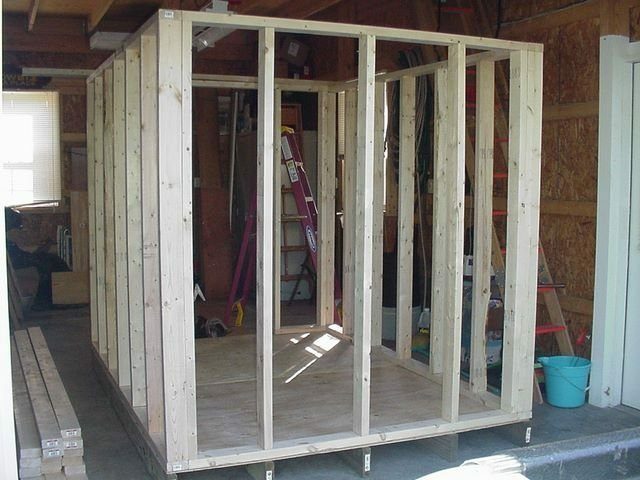 Pressure treated 2x6's with plywood flooring then 2x4's for the stud walls. 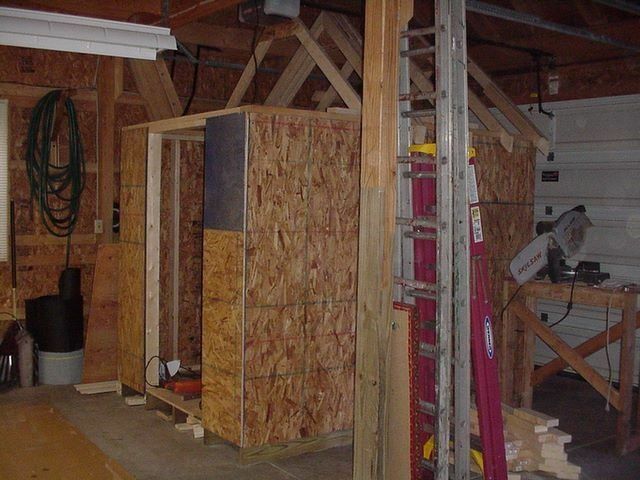 I built this as a sort of kit so that it could be disassembled after all the sheathing was fitted. Only a few screws here and there so that it would hold together. Phase 2 - Sheathing and roof trusses. I did not have any plans to guide me so I improvised as time went on. Take it apart & move it to the garden spot. 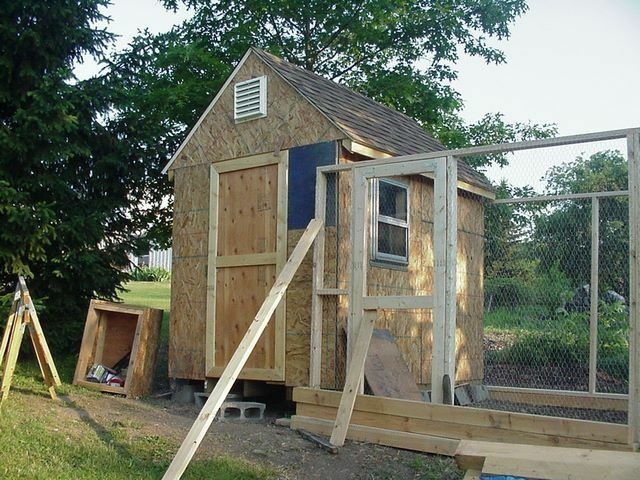 Put on the roof with felt & architectural shingles. Things taking shape now. Adding the run area with 4x4's untreated. 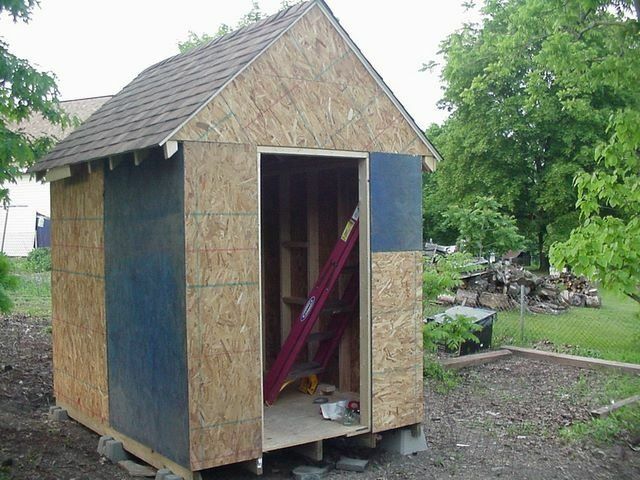 Installed the door, ridge vent and 2 track windows. Siding makes it match my garage and makes for low maintenance. Note the small trap door for easy entry into my garden area when I am there to monitor the 3 Buff Orpington/ 1 Buff Rock pullets. 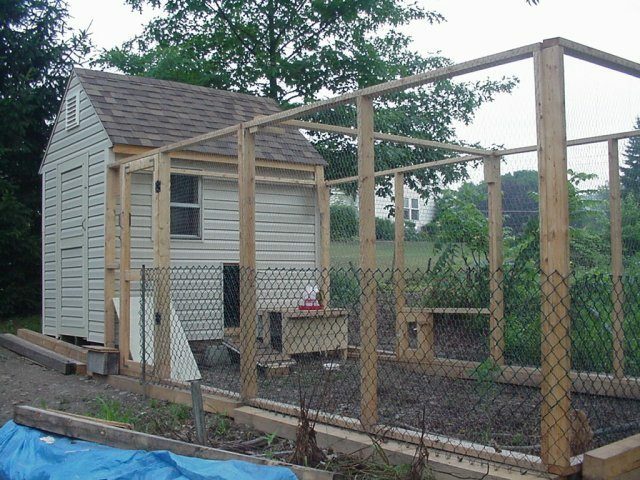 Not quite done yet but my chickens are happy here in Eastern PA! WOW !! Thanksgiving Day 2008 my Buff Rock has laid the first EGG!!!!!!!!!!!!! Way to go Rocky! 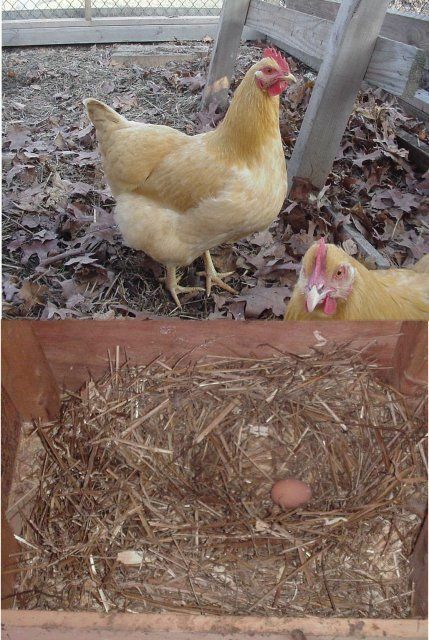 Its now early March 2009, the hens had been laying 3 or 4 eggs daily until mid February when Rocky went broody. 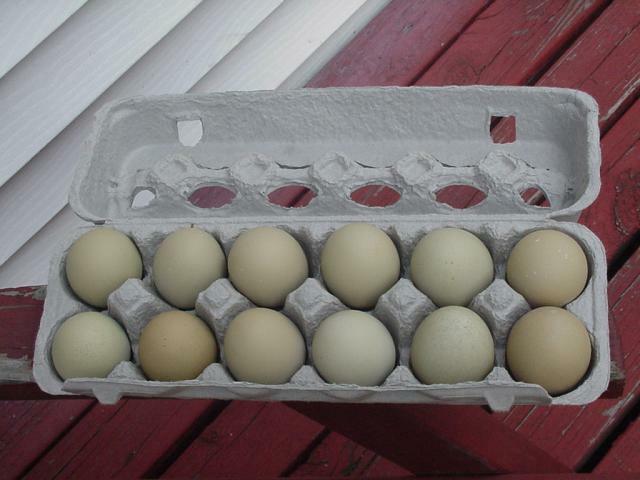 I placed some of a friends fertilized eggs in a second nest box so it can be exclusive to the future mother hen who sits there all day long. 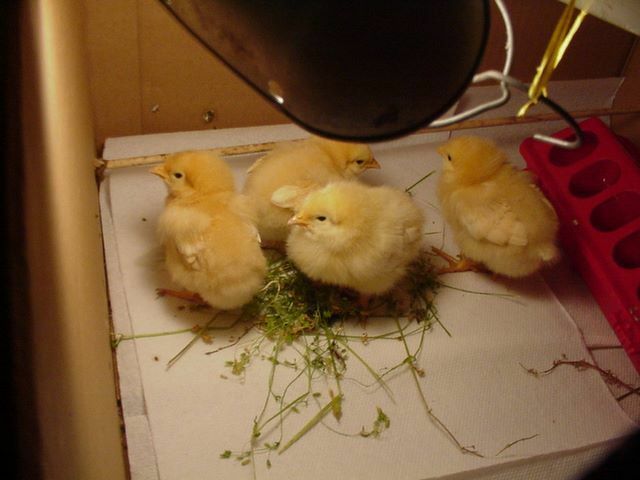 Hope to see some baby chicks by the last week of March 09. 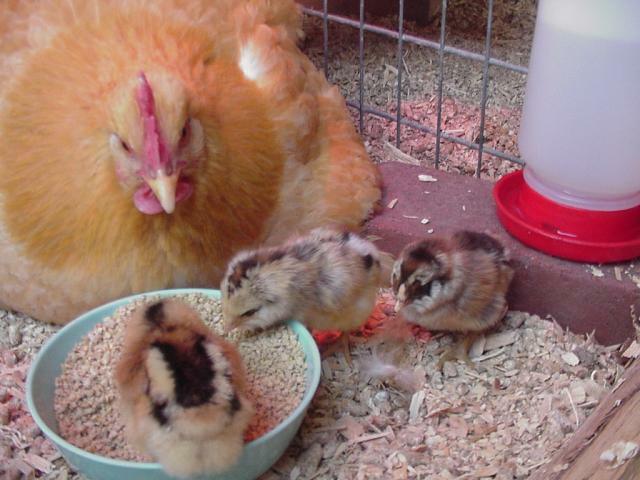 Update: March 19 & 20th the chickie hatch has begun.................of 6 Americuana eggs- all 6 hatched out, with one not surviving. Another one has some sort of top of head deformity but seems to be doing well. Sadly "baldy" - the chick with the head problem died after 5 weeks, we will miss this chick cause we made a special effort to nurse her/him along. 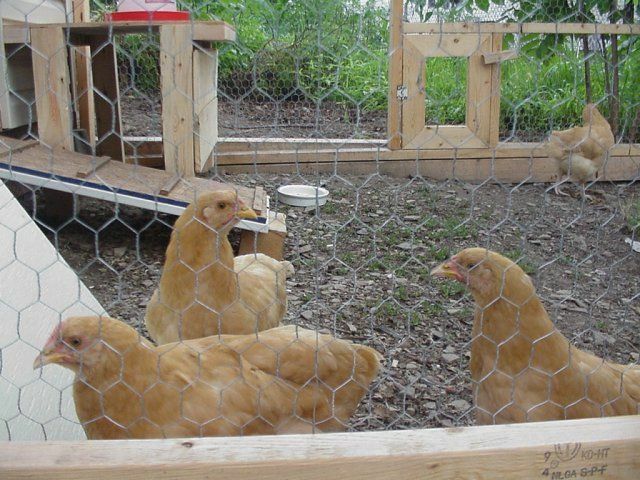 The new chicks (6 weeks) are already roosting with the other hens, one fellow seems to be hiding on the side wall ledge. For the most part they all get along. 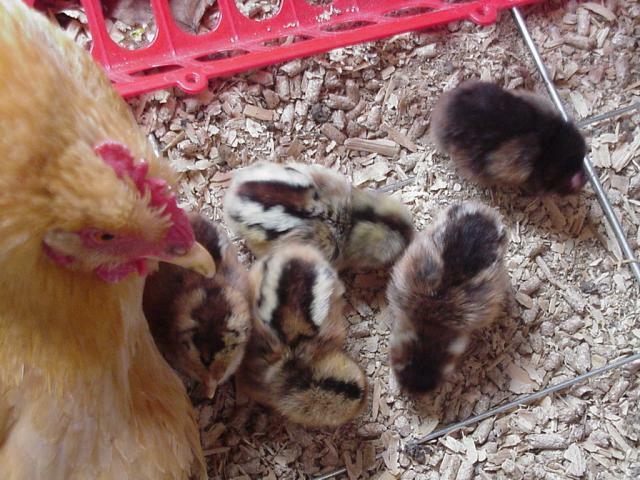 Turns out the new chicks were all roos except for one! That is Bonnie she is the one hiding on the ledge. She has a golden feather pattern and is quite nice. Her first egg was on 9-9-09! Her eggs are a pale green. Here's a dozen. Hard to photograph. 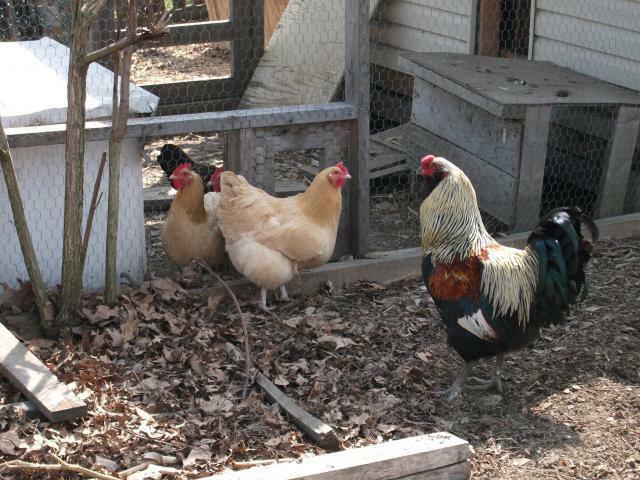 One little chick became a big bad rooster. This is March 2010. 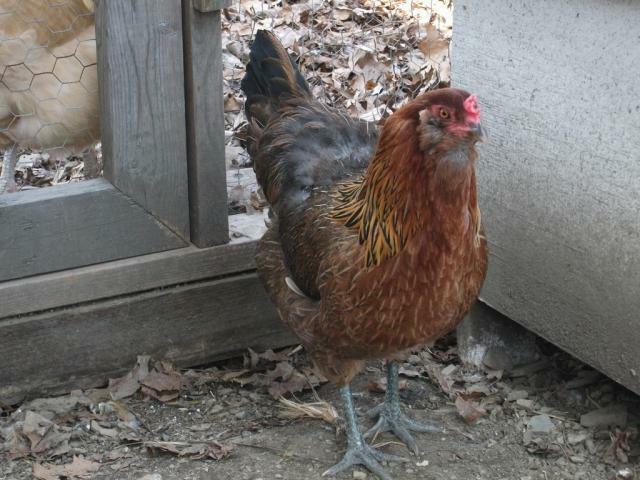 This is Bonnie, she was hatched in my coop by Rocky the Buff Rock hen. She is a spastic chicken but she is a good layer! The Buff Orpingtons are not producing many eggs anymore, very few in fact. 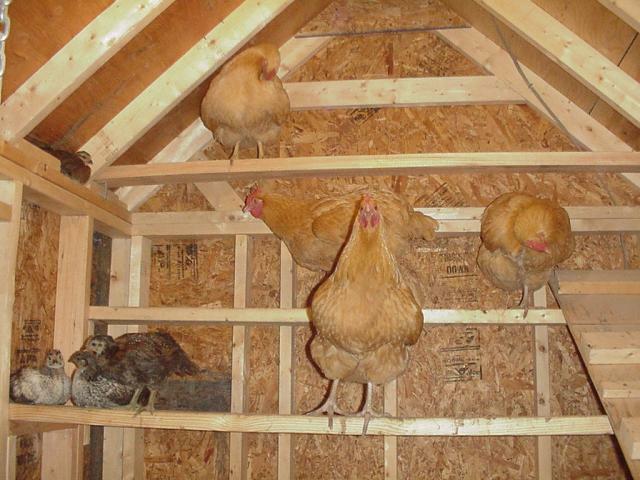 Nice looking coop, good ventilation and happy birds. 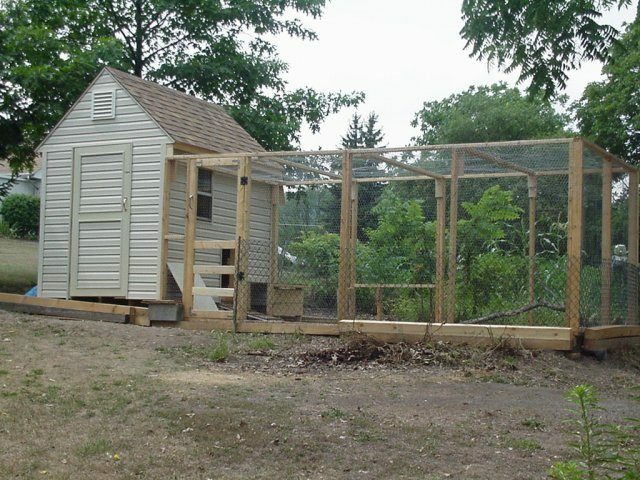 speaking of which, this chicken coop looks very nice. lots a work, but it looks very nice.